OBDUCTION – Myst spiritual successor will blow your mind in virtual reality! From Cyan, the indie studio that brought you Myst and Riven comes a whole new adventure that will become your world. A new story but with the same feel that you would expect from a MYST game. 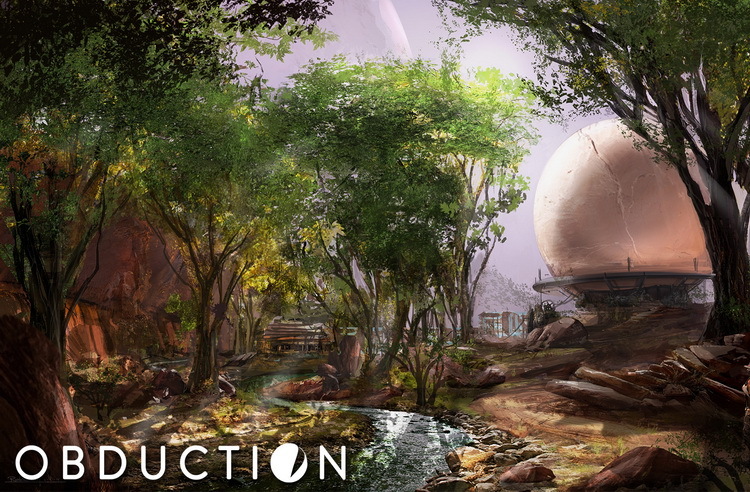 The new worlds of Obduction reveal their secrets only as you explore, coax, and consider them. And as you bask in the otherworldly beauty and explore through the enigmatic landscapes, remember that the choices you make will have substantial consequences. This is your story now. As you walk beside the lake on a cloudy night, a distant thunderclap demands your attention. A curious, organic artifact falls from the starry sky and inexplicably, without asking permission, transports you across the universe. You’ve been abducted from your cozy existence and added into an alien landscape with a stereotypical Kansas farmhouse, a white picket fence, and a rather bizarre little ghost town – well… almost ghost town. Adding to the oddity, you discover a strangely kluged kiosk that reassuringly welcomes you to Hunrath. New Stories. This is your story now. You’ve been abducted from your cozy existence and added into an alien landscape with a stereotypical, Kansas farmhouse with a white picket fence. But the farmhouse is just the first building in a rather bizarre little town that borders the road – curious structures that beg questions rather than provide answers. And adding to the curiosity, you stumble upon a strange, kluged kiosk that reassuredly welcomes you to “Hunrath”. New Worlds. As you walk in the woods on a pristine night, a distant thunderclap demands your attention. A curious, organic artifact falls from the starry sky and inexplicably, without asking permission, moves you across the universe. The answer to your questions about where you are, and why you’re here, lie ahead. New Choices. You choose where you want to go. You choose how much freedom you want. Choose to have full gamer control, or simplify and explore with a simple click of the mouse. Either way these new worlds reveal their secrets only as you explore and coax them. And no matter how you choose to explore, you fall upon some heavy choices to make with substantial consequences. New Frameworks. This is a new exploration experience for a new generation of explorers who are used to realtime worlds that unfold before their eyes. Epic Games’ Unreal Engine 4 provides the state-of-the-art framework for Cyan to bring vibrant, new worlds to life. We’re building remarkable landscapes, architecture, and environments that surpass anything we’ve done before. Cyan has done it again! 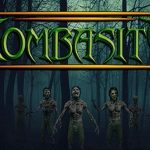 A beautiful, technically-composed game with an innovative premise that feels familiar yet completely alien. The world is massive, there looks to be a whole lot to do and this might take you some time to discover all of its secrets. You'll find yourself walking around huge contraptions just wondering what on earth they do. It's very magical and exciting. The game feels like a more matured version of the Myst games. 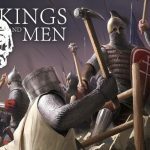 You can tell that the developers have taken everything they learned from the previous games and with that experience (and perhaps the wisdom gained with age) have crafted a story that has a new kind of depth. Majestic scenery, stunning level of detail, a beautiful scenic experience, amazing views combined with exploration and mystery.